Is it time to remodel your home? There are a few things you’ll want to know before starting. Remodeling any part of your home is no small task, no matter what the job entails. If you are about to undergo a home remodeling project, it is important to make sure you do the appropriate amount of research and make preparations for what you will need during the time of the remodeling. If you are undergoing a remodeling for the first time though, you may not be prepared and know everything you need to know for the project. Although there is no need to worry about getting lost in the chaos that is a remodeling project, simply take into consideration these things you need to know before you start to remodel. It may sound silly, but you do need to take into consideration what kind of remodeling project you wish to undergo. You might think to yourself that you wish to remodel your entire home, but there are other factors in that you must consider, like the cost and how it will affect your everyday life during the remodeling. It is often easier to undergo one project at a time. So you might have to make a decision between remodeling your kitchen first and your deck later. Even when that decision is made, there is even more to decide. Like for example, what about your kitchen are you trying to remodel? Your cabinets? Sink? These are important decisions you need to make before even considering calling a contractor about a job, and there are even more decisions to make about remodeling after that. The materials you want is another aspect of deciding what job you want done during your remodeling project. Picking out the right materials to be used for remodeling is important because it impacts the remodeling in several ways, like with the cost of the remodeling and how you will wish your remodeling project to be designed. Depending on what you are remodeling, certain materials have a practical use to, and will factor in how much future maintenance your finished remodeling project will need further down the road. You cannot just decide on a whim what materials you wish to use. This decision requires a lot of thought on what you really want out of this remodeling. 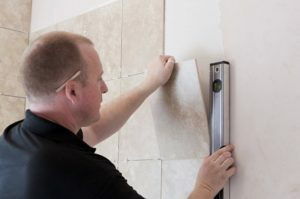 Another important part of remodeling you need to know is what contractor you will be hiring to do it for you. A contractor comes with the expertise and knowledge you will need to ensure your remodeling is top quality. Additionally, any question you may have can easily be answered by your contractor, who can even help with some of the design aspects to of your remodeling. If you want a job well done, make sure you spend time picking out the right contractor for you and your needs. This entry was posted on Friday, May 18th, 2018 at 9:24 am. Both comments and pings are currently closed.